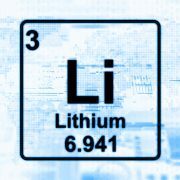 Vancouver, BC – Ultra Lithium Inc. (TSX-V: ULI) (FSE: QFB) (“ULI” or “the Company”) is pleased to announce that it has received assay results from the September 2017 exploration work completed on two of the four brine lithium properties recently acquired by the Company in the Province of Catamarca, Argentina. The exploration work was completed on La Borita and Antefalla properties, and was comprised of drilling short holes in ground down to a depth of up to one meter below surface to take shallow brine samples, and to resample existing deep historical drill holes on La Borita. Highlights of the assay results are presented below and a table showing location and results of each sample is attached with this press release. The results indicate a deeper source of lithium concentration as samples from all deeper holes return significantly higher (3 to 4 times) values than the shallow subsurface samples. The Company is planning to carry out pump tests on deeper holes to determine the brine production capacity of each aquifer intercepted in drill holes. Historical core and drill logs are available for planning pump tests. 12 shallow subsurface brine samples indicate anomalous values of lithium, in the range of 2.55 mg/L to 75.5 mg/L with an average of 31.8 mg/L. Magnesium values are in the range of 36.3 mg/L to 1100 mg/L with average 528.8 mg/L, boron less than 14 mg/L to 27.5 mg/L, potassium less than 15 mg/L to 1,390 mg/L. ULI’s Antafalla property is located adjacent to the north of Albemarle’s Antafalla property which was acquired by Albemarle from Bolland Minera in 2016. According to Roskill’s report of September 16, 2016, Bolland Minera, has to-date drilled 56 boreholes over 265 square km and defined a resource of 83Mt of potash (KCl) grading 6,400mg/l and 2.22Mt of lithium (11.8Mt LCE) grading 350mg/l. A review of historical drill logs of Bolland indicate that lithium grades tend to increase with depth. Ultra Lithium will plan to drill deeper holes after finishing the current exploration work program. View table with results here. Cautionary Note: The above information is taken from the publicly available source: https://roskill.com/news/lithium-albemarle-expands-argentina/ , and the Company has not independently verified the information referenced and should not be relied upon. The information is not necessarily indicative of the mineralization on the ULI’s Antafalla Property, and is provide as background and context material for the reader. This information will be beneficial for the Company for developing next phase of exploration work on the Property. The samples were assayed at SGS Laboratories in Buenos Aires, Argentina. SGS is a global chain of independent certified laboratories. The samples were assayed by SGS method ME. 113 based on SM 3120, 23rd Edition. Field parameters of each sample were recorded which include: depth of water table from surface, total dissolved solids, temperature, conductivity, salinity, pH, and density. The Company is also pleased to announce that the field exploration team has mobilized to continue shallow subsurface brine sampling on the remaining two properties in Catamarca Province, Argentina (Laguna del Salitre / Laguna de Aparoma Property and Archibara / Laguna Verde Property). Ultra Lithium is an exploration and development company with a focus on the acquisition and development of lithium assets. The Company is currently holds two exploration properties at the South Big Smoky Valley brine lithium and the Georgia Lake hard rock spodumene type lithium project.